Today is definitely not my lucky day. 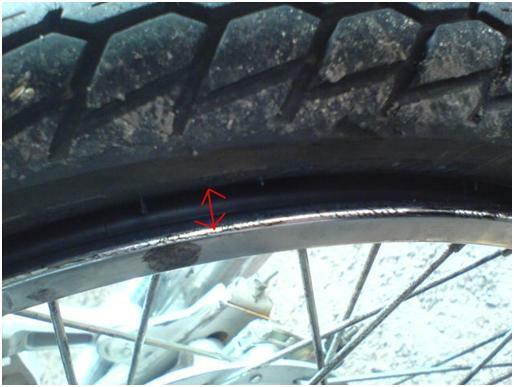 I can’t believe that my bike’s tire punctured for TWO times in one day! WTF! After almost half an hour, I decided to give up and push my bike back to my home. But suddenly, someone from the petrol station said that he has the tool! I’m damn happy that time! So, he went back to his home to take the tools. At first, I thought that he’ll only lend us the spanner. But instead lending us a spanner, he changed the whole tube! After changing the tube, then he notices that one of the components (a rubber thing) from the wheel is missing. We searched everywhere, but still can’t find it. I decided to give up since it might not that important (at that time). This entry was posted in My Life on August 28, 2007 by Khim Hoe.